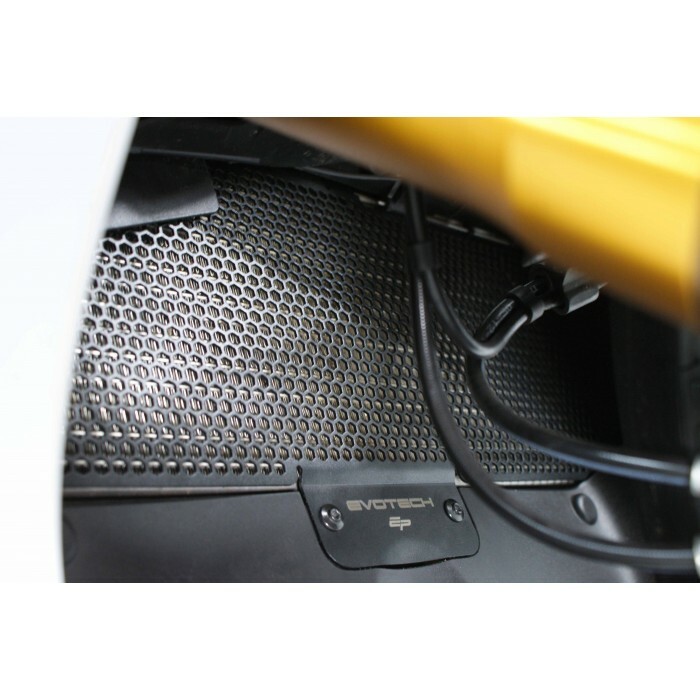 Evotech Performance savvy design means the upper radiator guard can be fitted with out the removal of the fairings. The elegantly designed matrix is pierced with hexagonal holes to optimize airflow whilst providing maximum protection from road debris. 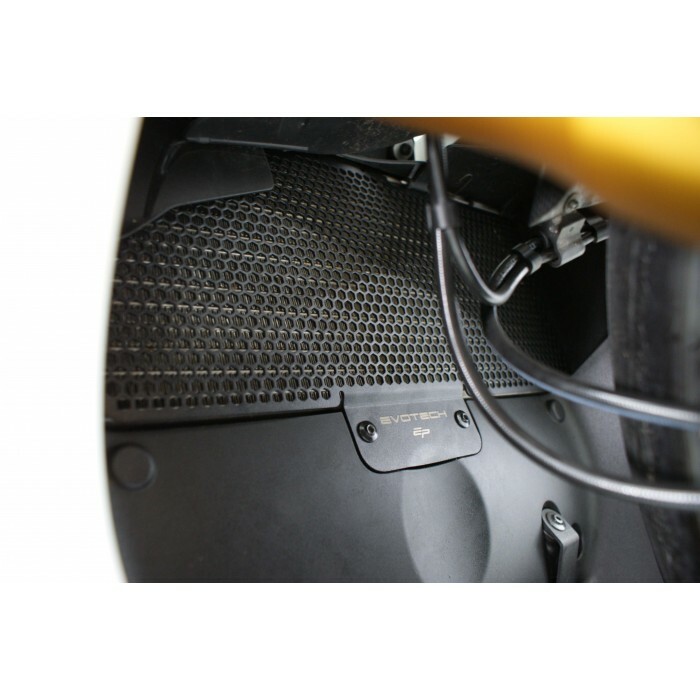 The Ducati Panigale upper radiator guards boast remarkable strength to weight ratio. 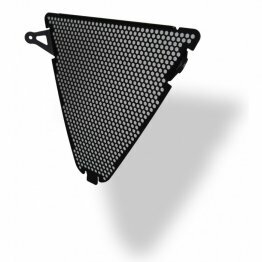 Evotech manufacturers these radiator guards CNC machined from aircraft quality aluminum. Finished in durable chip resistant black powder coating. 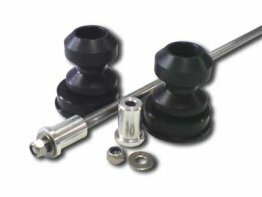 Mounting kit is included for a simple install. 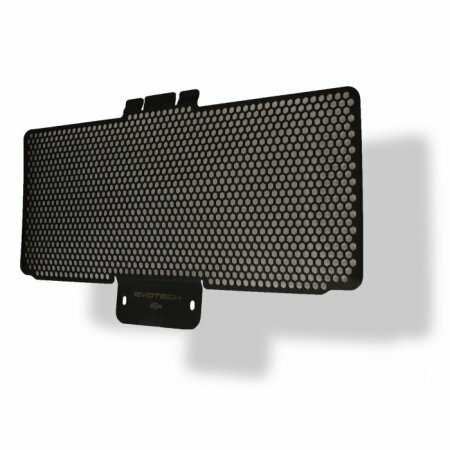 Note: This is the UPPER radiator guard only. Just installed. Overall, seems to be a great fit. 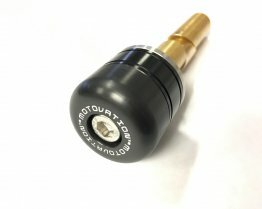 Product looks really good. Don't overthink installation. It is not meant to slide between the black inner plastic and the radiator itself, as one might determine based on the instructions. It just needs to be slightly flexed in from an angle until it drops right in front of the radiator. It really needs to come with foam strips for the left and right edges, as they are just free-floating, and will probably vibrate a lot without any backing support between itself and the radiator. for best results, i would suggest getting some and putting it on there.